Need a give-away for your next event? The Printing Press can handle all of you ad specialty item needs. 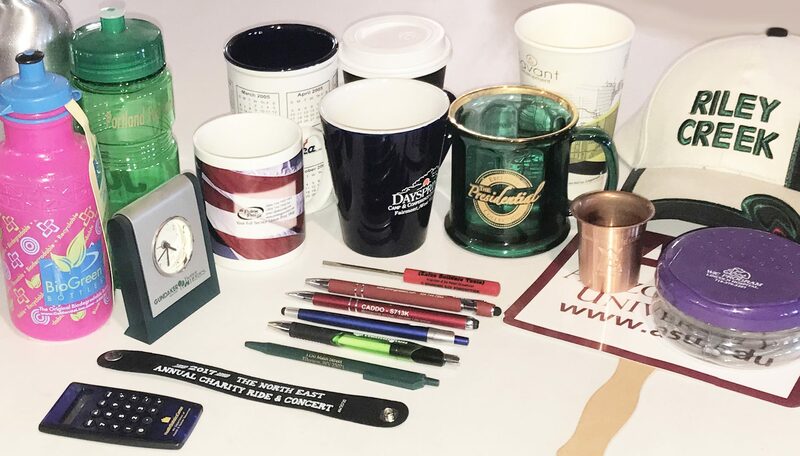 Whether you refer to them as chotskies, promo items, giveaways, or trinkets,what better way to promote your business than with your company logo/slogan on a gift? From pens, mugs, USBs, phone chargers, padfolios, t-shirts, koozies, totes, etc. there is something for everyone. We offer a wide arrange of branded promotional items for your company – call and ask about our latest gadgets! Browse and search some of the specialty items available to promote your business.